Chapeau is featured with a three page article in the latest edition of the fine publication, Linux Magazine (September 2014). Chapeau Linux impresses with its complete software selection. The distribution is especially suitable for beginners interested in handling demanding multimedia tasks without the cumbersome installation of additional proprietary software and codecs, as well as for gamers moving from other platforms. 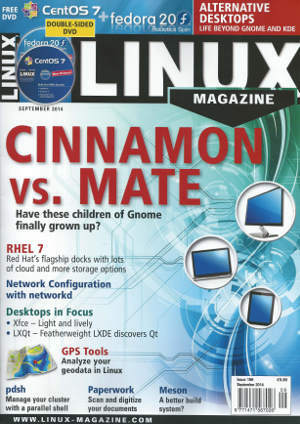 Thanks to Linux Magazine team!